ANGERYMAN | Reverend Shine Snake Oil Co.
Due to inclement whether REVEREND SHINE will not be playing the streets today but look for us tomorrow July 9th @ Kultorvet with the Jazz Festival Swing Dancers from 2:00pm – 5:00pm then at night Mojo Blues Bar​ at 7:00pm… It’s gonna be a hell of a Day! (Chinese: 八仙; pinyin: Bāxiān; Wade–Giles: Pa¹-hsien¹) are a group of legendary xian (“immortals; transcendents; saints”) in Chinese mythology. Each Immortal’s power can be transferred to a power tool (法器) that can bestow life or destroy evil. Together, these eight tools are called the “Covert Eight Immortals” (暗八仙 àn ~). Most of them are said to have been born in the Tang or Song Dynasty. They are revered by the Taoists and are also a popular element in the secular Chinese culture. They are said to live on a group of five islands in the Bohai Sea, which includes Penglai Mountain-Island. 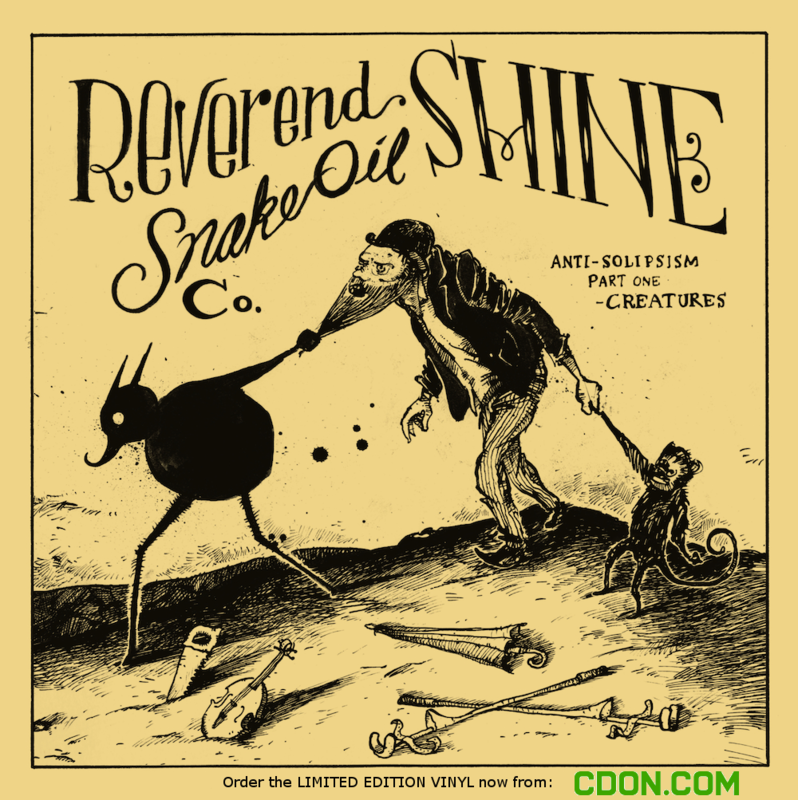 Post by REVEREND SHINE SNAKE OIL Co.
get the code word? Check the event page and our website: “www.shineonline.dk” and Stay tuned… and check back often! Who or what is Reverend Shine Snake Oil Co.? The following is a google translation of an article from Music News online music magazine that explores the trends of Austrian and international music scene. Written by: Carina Marie Stiegler See Original article Here. The answer: An energetic Copenhagen quartet with roots in New York, which is somewhere between blues and punk. 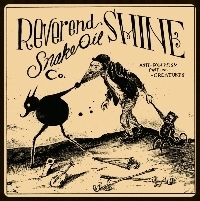 Reverend Shine Snake Oil Co. is hardly possible to describe adequately with a few loosely thrown records. Its origins are also shrouded in a dense network of assumptions as the band’s name, the one does not want to open up so easily located. So much is certain: After a long history Claudius Pratt and Justin Moses Gunn pulled together from New York to Copenhagen, where they met Matthias Klein on drums and Martin Olliviierre on upright bass. Who is the Reverend here? What was then sets itself according to information from “punk rock, African Drum Rhythms, early American blues and everything in between together “. Characteristic of the sound are also the New York roots, their influences are clearly audible. Here the musical work of the four musicians is so versatile that a description can ever bring something to sweat. Bonds of gospel , spirituals and soul are equally audible as rockabilly , jazz , folk and indie rock. After three EPs already released end of 2013 it was decided to include the new plant in Gothenburg / Sweden. The choice fell on the Härlanda prison, his last prisoners released in 1997. This experience brought the band members partially true to their limits, but also ensured that the existing 5 songs from “anti-Solipsism pt.1 Creatures” could be taken in one day. This first part already appeared this year as a limited edition vinyl. Together with the second part called “anti-Solipsism pt.2 – Totems & Familiars”, to appear in spring 2015, this will also be available as a regular album. The five songs of “anti-Solipsism pt.1 Creatures” alone but extend even from half an hour. It is clear: When Reverend Shine Snake Oil Co. is celebrated every second and savored each song, starting with the frenzied “The Candidate”. The driving energy of rhythm and vocals reminiscent of Tom Waits provide a brilliant opening. Little quieter but no less engaging it goes with “The Truth” continues the same times as hugs with the polyphonic singing in the ears, that it no longer wants to disappear so soon from there. Following this, there is a nice blues-heavy-“Mrs. Brown “, with the Quartett can but the energy level rise as well as continuously during the subsequent” Hey Now “that spreads a special coolness. Is Complete “anti-Solipsism pt.1 Creatures” then of “Home”, which comes atmospherically dense and forms not only by the, again playing an important role, dynamics a worthy conclusion. They start small… They take away your ability to imagine… yes that is what art is, your ability to imagine… Imagine a better world, imagine a cure for what was believed to be incurable, imagine a life less ordinary… Do not let our governments take away our right to imagine… Fight for your right to keep Art programs alive fight for music in our schools fight for a world filled with imagination and wonder… with peace, love and understanding… Fight for your right to be heard… Fight for your rights to live free… Never stop fighting! Fragile, life is a reflection. It’s the last tour of the year for the SNAKE OIL Co. be sure to catch dem boys! Plus one Exclusive show in Berlin for 2014… Exclusive Event with REVEREND SHINE SNAKE OIL Co. and COOGANS BLUFF tickets on sale now at KOKA36 Brought to you by NOISOLUTION RECORDS. Social music for people of moderate intelligence and fair health! “Anti Solipsism pt. 1 Creatures”The New Album OUT NOW!